It’s almost always guaranteed to be a great time when fans meet their favourite celebrities. When favorite actors or musicians collide with fans, there’s nothing more entertaining. Many countries are known for their obsession with their celebrities ranging from the United States of America where fans closely monitor their celebrities through tabloids and TVs to India where being a TV, movie, religion or Cricket celebrity would make you have a temple built for your name. Let us look at how Rwandans react when they meet their famous stars. Before we look at how they react to them, we have first to understand the celebrity pattern in the Rwandan society. In Rwanda, when you talk about celebrities, I think many will agree that musicians are at the forefront of the phenomenon, then followed by footballers, may be politicians, and at times actors. And well when we talk about taking an autograph seriously, we should consider what happens in the United States of America where people get autographs and sell them at many dollars or signed shirts as they throng to wait for celebrities to sign their pictures. It looks like the autograph culture just is not popular here. APR midfielder Andrew Butera, one of the most prominent footballers in the league and for the national team signed some autographs when he was in Mexico for the under-17 world cup in 2012. However, he admits that he has never signed one for a person in Rwanda. “They mostly like selfies and I am okay with it,” he says. M.P Edouard Bamporiki, is perhaps one of the most successful as far as signing autographs is concerned. 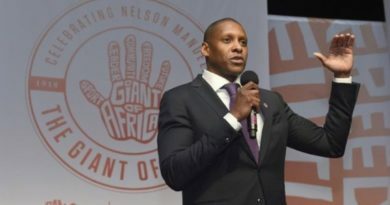 Before taking on politics, he was an actor and here, he says that he signed about 500 autographs in Rwanda and up to about 50 in the United States of American where he had gone for an awarding ceremony in which he was awarded for a high school movie he acted. Singer Olivier Kavutse, the leader of famous gospel group Beauty for Ashes says that when he goes to perform at schools in Rwanda, he always gets crowded by the students asking for his social media account, a hand shake or hugs. 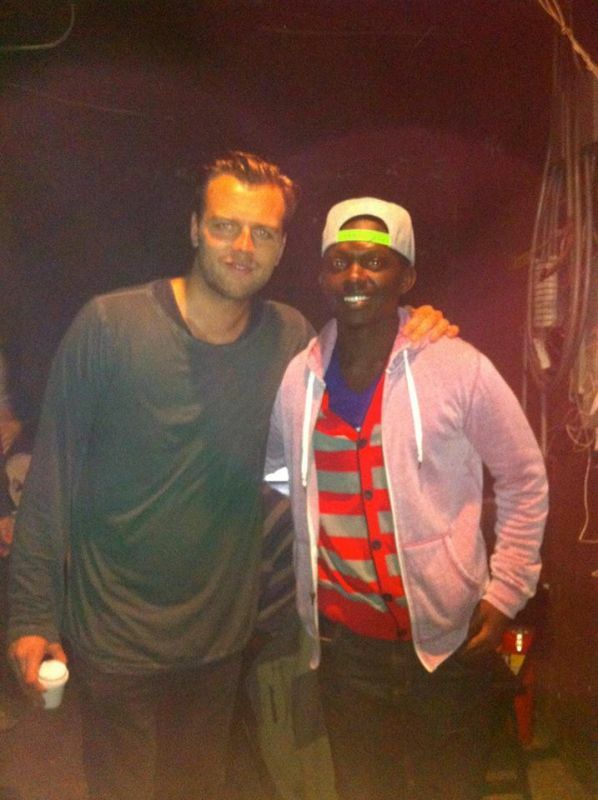 Kavutse in a photo he took with Hillsong’s Joel Houston. 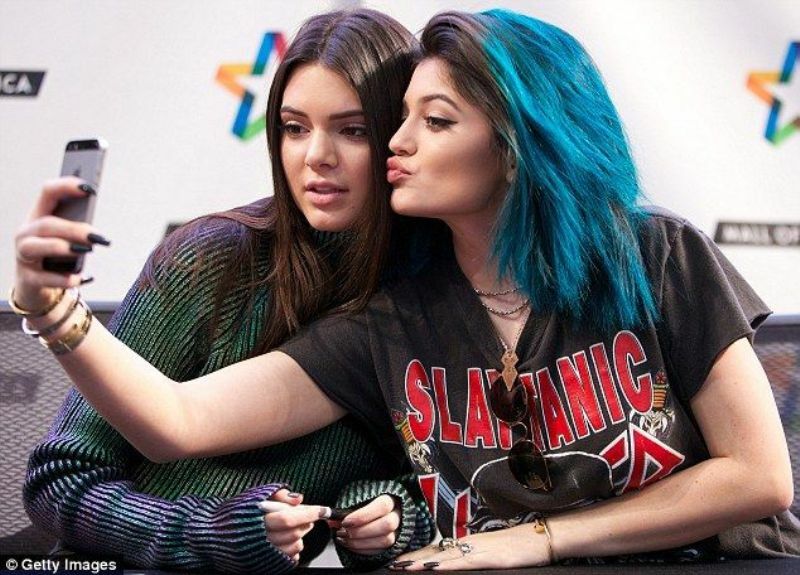 Photos are some of the ways people use when they meet with celebs. Gospel singer Patient Bizimana another gospel says he is often asked to sign autographs by secondary school students when he goes there to perform. On other occasions, other fans just ask to take a selfie with him. Why the autographs not common in Rwanda? Kavutse himself has taken several pictures with celebrities. 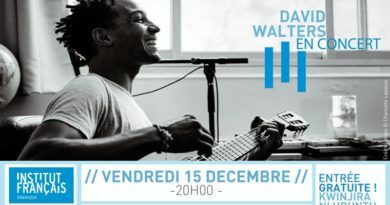 His facebook account has pictures he took with American gospel rapper Lacrae, worship leader Joel Houston, and Phil Wickham. He however, never asked for autographs from them since they would take it for commercial motives. Another reason for lack of autograph culture can be that some of the Rwandan celebrities are easy to access and therefore. For instance, Edouard Bamporiki says he cannot ask an autograph from Masamba Intore since they are always together. However, when Bamporiki found Akon at Mille Colline sometime back, he asked him to sign for him and he did. “I want to ask them questions for example about their journey, how they made it in life so that I can learn from them,” she says. In many instances, however, the venue in which you meet the celebrity simply may not allow any sort of meaningful conversation. If there is a crowd of people vying for the person’s attention then you probably just need to grab an autograph and get a picture for Facebook. Yet as for autographs, Mildred says there is nothing special about them as they can even be forged. Sandra Tumusiime, a resident of Kabeza only wants a selfie to put on her facebook account. 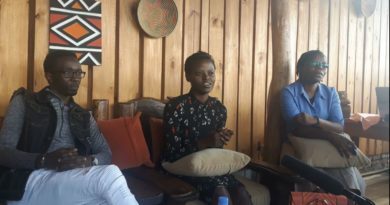 Clarrise Akimana from Kigali says that she would just greet the celebrity and continue on her way. She needs no photos.